The band's name is inspired by the title of Salman Rushdie's first novel. Grimus is the approximate anagram of the word "Simurgh", a gigantic bird from the Persian mythology. 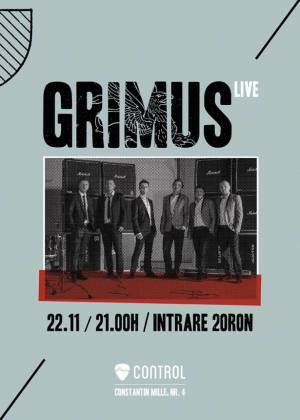 "Grimus live! @ Control" Concert in Bucharest. You can get here description, reviews, address, time and details of "Grimus live! @ Control" Concert in Bucharest. Visit Bucharest Tips for more Concert events in Bucharest!